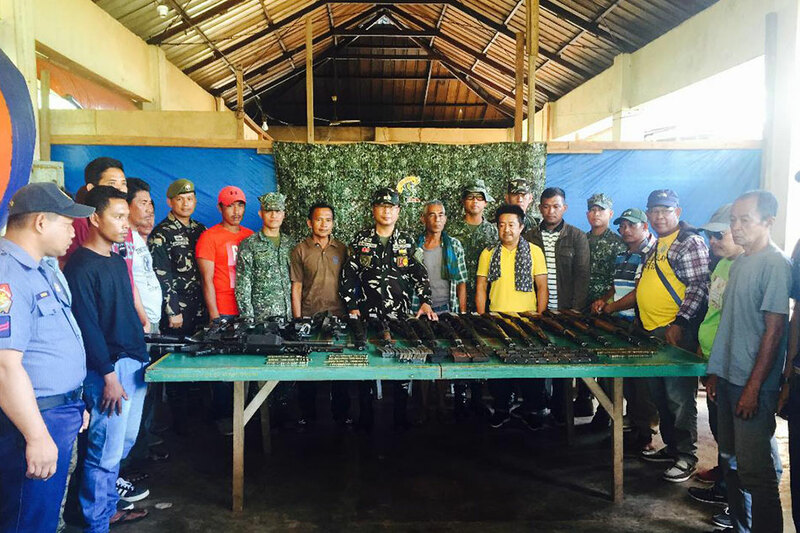 The Armed Forces of the Philippines (AFP) received Friday 20 more loose firearms handed over by local and village officials of Pata town. Four M16 rifles and 13 M1 Garand rifles were among the inventory, as well as one M653 baby Armalite, one Sig716 7.62mm rifle, and one caliber .30 Browning automatic rifle, a type of light machine gun. Hundreds of ammunition were also turned over to state forces. Brig. Gen. Cirilito Sobejana, commander of Joint Task Force Sulu, said Pata Mayor Anton Burahan has been instrumental in the success of the military's campaign against loose firearms in Sulu. He said Burahan led his constituents by example by turning over his unregistered firearms to the military on Feb. 2. Burahan has handed over at least 18 high-powered firearms, including those owned by village officials in his area. "The commendable action of a local chief executive and responsible citizens of Pata may serve as [an] example for other government officials and residents here in the province of Sulu and the whole of Mindanao so that the road to peace is realized,” Sobejana said. Sobejana said there are around 8,000 to 10,000 loose firearms in Sulu being used in most of the violent clashes of feuding clans and families in the province.